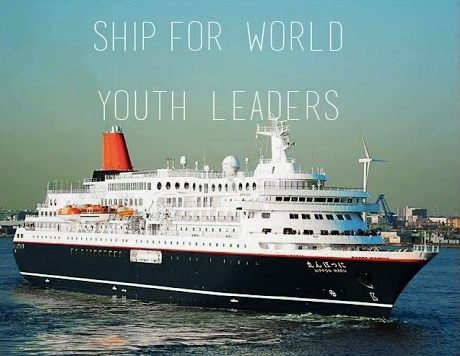 This information session is open to potential candidates interested in applying to the Next Generation Leaders Progam, formerly known as the Ship for World Youth (SWY). SWY Canada is seeking 12 young professionals to represent Canada and take part in this unique cross-cultural program aboard the Nippon Maru. One of the most extraordinary youth programs in the world will embark on another fantastic journey with 242 youth leaders from around the globe. Through the generosity of the Government of Japan (all expenses covered), 12 Canadian youth (11 participants and one National Leader) will be selected to participate in the 2017 sailing of the Japanese ship, the Fuji Maru, for the once-in-a-lifetime experience known as The Next Generation Global Leaders Program “The Ship for World Youth Leaders” (previously known as The Ship for World Youth). The Next Generation Global Leaders Program “The Ship for World Youth Leaders” serves as a unique cross-cultural exchange program that aims to provide participating youth with the opportunity to enhance the leadership and management skills necessary to excel in an increasingly globalized world. Onboard, delegates will be engaging in a series of expert-led seminars, participant-led workshops and cultural activities. This unique cross-cultural program will travel by cruise ship from Japan to Fiji and New Zealand, and takes place from January to March, 2017.